Something’s wrong here. 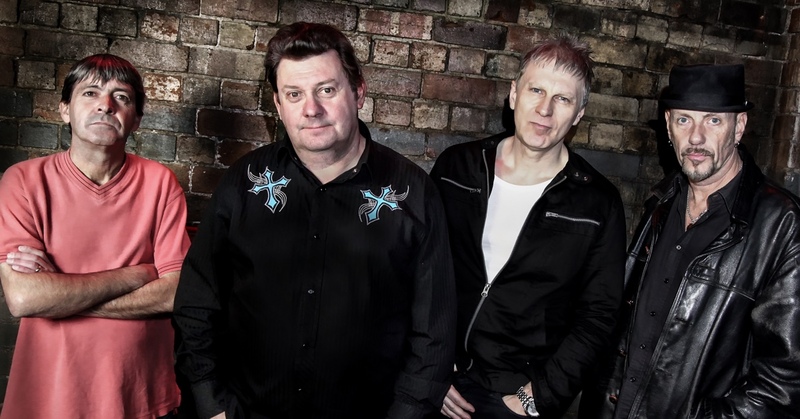 If Stiff Little Fingers don’t have the same pedigree as The Clash and Dead Kennedys in the red punk domain… it means we need to check our left-wing monitor. If you put the combat rock counter next to the discography of this Northern Irish band the needle goes beserk. They have songs like barbed wire and lyrics that are like Molotov cocktails. They don’t have the ‘77 pioneer punk lineage, but they do have the distinction of having made the UK government nervous by being from Belfast (ok, and for not hiding their thoughts on the IRA in their lyrics and declarations). The title of their first album, Inflammable Material, defines their music from the start. The second title, Nobody’s Heroes, we don’t agree on though, for us, they are admirable freedom fighters who 40 years on are still shooting from our side of the trenches. Let it be noticed, they are present.